Purchase via Bitcoins and get 10% extra subscription time! 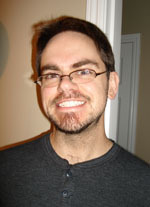 ISBoxer is the best multiboxing software there is, and our ISBoxer.com web site is your portal to its awesomeness with forums, chat, guides and videos. Built upon the power of Inner Space, ISBoxer is the only multiboxing software that can fundamentally change the way you play, with the ability to mash up fully interactive views from different windows! ISBoxer delivers killer features that leave competition in the dust, like instant window swapping, and perfect mouse broadcasting that includes a cursor in every window! Are you still alt-tabbing between windows just to heal yourself with another character? ISBoxer can send a keystroke to the other window for you! Let's get you out of the dark ages. Find out more at ISBoxer.com, and sign up for your FREE 7-day trial now! ISBoxer's Quick Setup Wizard will have you multiboxing like a pro in seconds. While ISBoxer works for most of today's MMOs and other DirectX games including Diablo 3, EverQuest, EverQuest 2, EVE Online, Lord of the Rings Online, RIFT, Star Wars: The Old Republic and many more, ISBoxer provides special features just for World of Warcraft. 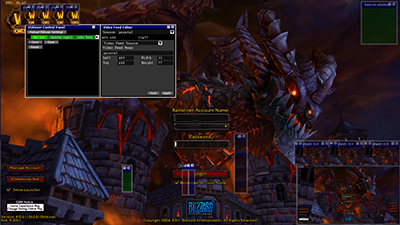 By automatically creating a WoW Addon just for your team, ISBoxer sets up everything you need for your toons to follow or assist you in combat, even if you switch windows. And all you need are your existing Action Bar hotkeys. It's really that easy. Inner Space is our programmable gaming platform for Windows. By employing our sophisticated virtualization technology, Inner Space can enhance and customize your Direct3D game in ways you may not believe until you see it for yourself. It's like having a Virtual Machine optimized just for your game! Inner Space can run .NET programs and other custom scripts inside of the game for you, with a wide range of functionality available. Inner Space is 'unlocked' and does not limit the types of programs you can use with it! Inner Space natively supports many of your favorite input devices, making it easy to link not only your standard mouse and keyboard, but also your extra buttons to Inner Space functionality! Inner Space links your game instances together, making it possible to send commands (you know, like keystrokes!) from one window to another, even on different computers! Inner Space can override behavior and appearance of your game windows, making it possible to force a full-screen game into windowed mode, instantly move or scale windows, instantly re-arrange entire groups of them and more! On Windows Vista or later, Inner Space can provide live, fully interactive views from other games or application windows on the same computer! Inner Space is safe to use with your favorite games, as long as you do not break the rules of the game by trying to hack, exploit, bot or otherwise cheat, etc. Inner Space with ISBoxer is popular for multiboxing in games like World of Warcraft, EVE Online, EverQuest, Lord of the Rings Online, Star Wars: The Old Republic, and many others! WinEQ 2 primarily adds window management capabilities to a small set of specific games, including Dark Age of Camelot, EverQuest, EverQuest 2, Warcraft III, and World of Warcraft. WinEQ 2 improves accessibility and visibility of your game, allowing you to easily see and control several game sessions simultaneously, or, for example, to see the game in a tiny window while browsing the web. WinEQ 2 comes with EQPlayNice for use with EverQuest, and has its own CPU or FPS limiting functionality for the other games (Gaming Tools Pro subscribers only), so that you can enjoy the full power of your computer while gaming. Lite (free, with no purchase or trial required) features include forcing the game into windowed mode, session-switching hotkeys (two-way cycling and global activation), custom window titles, custom eqclient.ini and eqlsPlayerdata.ini for EQ1, automatic CPU round-robin (improving overall performance on PCs with multiple CPU cores) and more. Pro (paid or with trial) features include custom window presets (such as Full Screen Emulation and Tiny), Picture-in-Picture, window tiling, video capture, window resizing, dual monitor support and more! Buy Now! FREE 7-day trial! For Business! Hi, I'm Joe and these are my products! Lavish Software is an independent software development company founded in 2004, specializing in high quality game enhancement software, with a focus on "multiboxing" -- playing multiple characters together in Massively-Multiplayer Online games (MMOs). 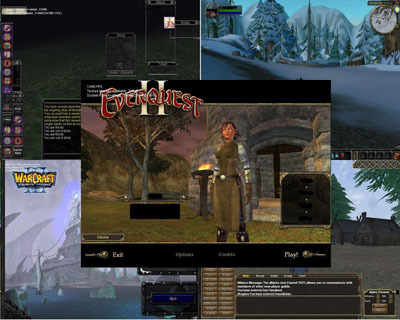 Our first products were EQPlayNice, used for improving the performance of multiboxing EverQuest, and WinEQ, used to help manage multiple EverQuest game windows. WinEQ 2 came a short time later, adding support for additional games including Dark Age of Camelot, EverQuest 2, and World of Warcraft. We then designed Inner Space to work for as many games as possible, with new features including in-game user interfaces and ability to support third-party mods, and here we are today. Our ISBoxer software for Inner Space, freely available to any of our subscribers, is again revolutionizing multiboxing. People around the globe are using our feature-packed software to better enjoy their gaming experience. Lavish Software is committed to providing quality products that are safe to use with your favorite games -- we have a friendly relationship with, and even some customers at, today's top MMO publishers! Yep, they multibox too! In fact, if you work at an MMO publisher and would like to multibox with our software, we'd love to accommodate you free of charge.